Gábor Sonkoly (CSc, Hungarian Academy of Sciences, 1998; Ph.D. EHESS, Paris, 2000; Dr. habil. ELTE, Budapest, 2008; DSc, Doctor of the Hungarian Academy of Sciences, 2017) is a Professor of History and Chair of Historiography and Social Sciences at Eötvös Loránd University of Budapest. He is the Vice Dean for General Affairs at the Faculty of Humanities. He is the author of Les villes en Transylvanie moderne, 1715-1857 (2011) and Historical Urban Landscape (2017). He published three monographs in Hungarian, edited four volumes and wrote some seventy articles and book chapters on urban history, urban heritage and critical history of cultural heritage. He presented at more than hundred international colloquia and was a guest professor in eleven countries of five continents. He is Member of the Panel for European Heritage Label. He is the Knight of the French Order of Academic Palms (2011). 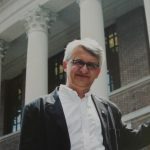 Paolo Militello is an Associate Professor of Early Modern History in the Department of Political and Social Sciences at the University of Catania; he was also the Coordinator of the PhD in Humanistic Sciences and Cultural Heritage at the same university. He has his PhD in Early Modern History from the University of Catania as well as in History and Civilization from the École des Hautes Études en Sciences Sociales in Paris where he was a visiting professor in 2005, 2012 and 2015. Specialised in Cultural History, Urban History and Cartography he is currently researching people, cities and territories in the Euro-Mediterranean area during Early Modern Age. Marie-Vic Ozouf-Marignier is a historian and geographer, and is a director of studies at École des Hautes Études en Sciences Sociales. She is in charge of the “Territoires, espaces, societies” master’s programme and the “Territoires, sociétés, développement” doctoral programme Specialist in methods of dividing and representing territory and runs a seminar on “Infra-state territorial decentralisation and reorganisation, identities, development know-how” Publications: La formation des départements (Ed. de l’EHESS, 1992), Atlas de la Révolution française (Ed. de l’EHESS, 1989) and Géographes en pratiques (Presses universitaires de Rennes, 2001) She regularly takes part in European programmes, in particular with Hungary, Italy and Spain. Luďa Klusáková is full Professor of History (2009) from the Palacký University (Olomouc). 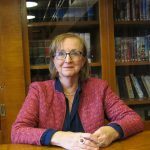 Since 2000, she has been chairing the Seminar of General and Comparative History at the Faculty of Arts at Charles University (Prague). 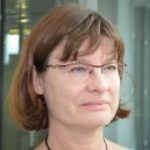 She obtained scientific degree from the Charles University in 1981 for her comparative research on the modernization of European urban networks. Later she researched formation of images of Balkan Ottoman cities as images of other and stereotypes: The Road to Constantinople: The Sixteenth- Century Ottoman Towns through Christian Eyes (2002). For five years Leader of the Thematic Work Group 5 Frontiers and Identities within CLIOHRES research network of excellence. Co-ordinator of research projects of the Seminar of General and Comparative history. 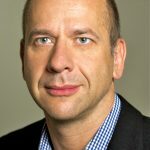 President of the European Association for Urban History (for the period 2010 – 2012), member of International Committee of EAUH 2004 – 2014. Departmental Erasmus coordinator 1999 – 2009, lecturing in English and in French since the beginning of Erasmus exchanges. Knight of the French Order of Academic Palms (2005). She has published, co-authored, edited and co-edited thirteen international collective books mostly in English on problems of perception of space, urban innovations, collective identities, modernity and backwardness. Most recently Small Towns in Europe in 20th and 21st centuries. Heritage and Development Strategies (2017) with Marie-Vic Ozouf- Marignier and others as co- author. Her current engagement in such projects as REACH (H2020) and KREAS (supported by operational funds of EC) determines her interest in the cultural role of small towns and the way they handle cultural heritage and use history interpretation in the creation of regional and urban identities. Laurier Turgeon holds a Canada Research Chair in Intangible Cultural Heritage and is professor of history and ethnology at Laval University, Quebec City, Canada, and is former director of the Institute for Cultural Heritage at Laval University. He has held fellowships and visiting professorships from the Massachussetts Institute of Technology (2013-2014, Centre for Comparative Media Studies and Writing, Media Lab), Harvard University (2006-2007, Mackenzie King Chair in Canadian Studies), the Université de Paris I-Sorbonne (2004, 2007), the John Carter Brown Library at Brown University (2000-2001), the Newberry Library in Chicago (1998-1999), and the École des Hautes Études en Sciences Sociales in Paris (1996, 1999). While visiting professor at Harvard University, he organized a seminar and a two-day conference on the politics and practices of intangible cultural heritage. In much of his recent work, he has studied transmedia storytelling in the interpretation of heritage, cultural heritage informatics, the relationship between tangible and intangible cultural heritage and the transmission and construction of heritage through intercultural contacts in colonial as well as postcolonial contexts. His most recent single-authored book entitled : Patrimoines métissés : Contextes Coloniaux et Postcoloniaux, Paris and Quebec City, Éditions de la Maison des sciences de l'homme and Laval University Press, 2003 and reedited in 2013, was awarded the Luc Lacourcière Prize in 2004 for the best book published in the history and ethnology of French North America. He published with Octave Debary, Objets et mémoires, Paris, Éditions de la Maison des sciences de l'homme (Paris), 2007, which deals with the ways material objects construct memory and, likewise, with the manners in which memory constructs objects. He has also published more than 80 peer-reviewed articles and book chapters, and has edited several collections of essays including: The Spirit of Place: Between Tangible and Intangible Heritage, Quebec City, Laval University Press, 2009; Le patrimoine religieux du Québec: Entre le cultuel et le culturel, Quebec City, Presses de l’Université Laval, 2005; Les entre-lieux de la culture, Paris, L’Harmattan, 1998; (with Khadiyatoulah Fall and Georges Vignaux), Champ multiculturel, transactions interculturelles, Paris, L'Harmattan, 1998; (with Réal Ouellet and Denys Delâge), Cultural Transfer, America and Europe: 500 Years of Interculturation, Laval University Press, Quebec City, 1996.